This equipment is for ages 6 – 13 and can accommodate as many players as you would like. Pick it up and play all day! 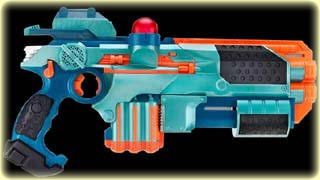 Add $65 to have your laser tag equipment delivered. Our Laser Tag Rentals are very similar to the laser tag you’ve probably played at indoor arenas … minus all the lights and mirrors. We can bring our laser tag equipment to any playing area (indoor or out), or YOU can pick it up. 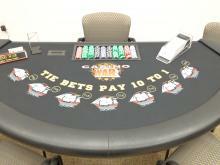 We have equipment for the younger crowd, as well as more experienced players. 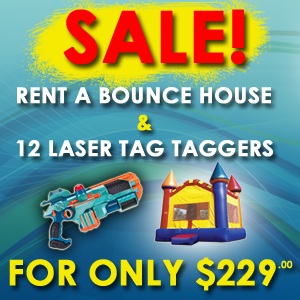 A typical rental includes 12 laser taggers, and your can add barriers to make your playing more interactive. Give us a call for more details. We are currently featuring Phoenix LTX taggers with two health options, two ammo options, built-in shields, mechanical recoil, mechanical re-load action, and a 200 foot range. Everyone is bound to have fun! (6) guns, (6) vests. When the temperature soars, bring the cooling water tag fun to your party! YOU can pick it up and play all day; equipment will fit in any vehicle. Add $65 to have your laser tag equipment delivered. 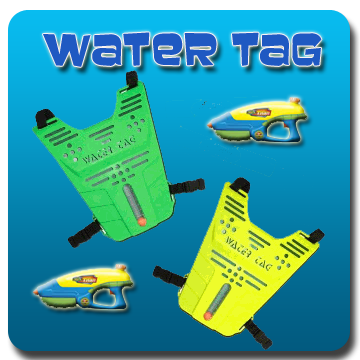 $79 Order Water Tag gear!